Domestic Violence and Sexual Assault advocates collectively raised our fists together in solidarity with the #TimesUp movement makers at the 2018 Golden Globes. This is yet another headline grabbing moment when celebrities and activists are united to bring urgent attention to the epidemic of of sexual assault, sexual harassment, and domestic violence. Framing the urgency of the call to action in time was a brilliant strategy. For far too long abusive behaviors have permeated all corners of our culture and for far too long the collective community has ignored the call to action. Each time we advocates roar the second hand moves one or two seconds ahead on bringing awareness of the epidemic. We proudly claim a victory, because, if even one more person’s fear is alleviated, injustice is rectified, or harm is acknowledged, the time was worth the effort. Although, as a leader of an organization committed to youth who strive to end violence I am haunted by a persistent thought, and I posit the questions: Can we move time forward hours? How do we turn the inspiration and the spark of the #TimesUp movement into a sustainable effort to march towards eliminating these forms of violence? Don’t get me wrong. Celebrity voice does matter. Media coverage, impassioned speeches...they all matter. 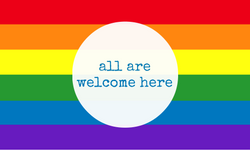 But the social change away from attitudes and behaviors that enable violence to persist will only happen when members of communities say that violence is unacceptable and work to prevent it. This mobilization is happening today in our neighborhoods and backyards. Programs which focus on the prevention of additional #metoo stories are vital to the success of ending violence. Programs that prevent the clock from even being necessary. Break the Cycle works with numerous local organizations who provide both intervention and prevention services to survivors. Join them in their efforts locally. Resources are woefully lacking in the prevention space even though we know intimate partner violence begins early. 1 in 3 high schoolers report experiencing physical or sexual violence or both by their dating partner. It is for this reason that while we talk about how to support survivors through crisis we have to find a way to prevent the violence from the beginning. Prevention should always be a key element of any successful social norms change or public health education initiative especially ones combatting dating violence, sexual harassment, and sexual assault. It is why for two decades Break the Cycle has combined both prevention and intervention services to support youth as they navigate heartbreaks, first dates, sexual exploration and a host of other firsts in relationships. For many young people just like adults these firsts and experiences are wrapped in layers of other community pressures, such as: immigration concerns, educational inequities, racial injustice, economic despair, and more. When we experience a struggle in one of these categories that is the time when we most look towards our personal intimate relationships for support and comfort. If there is conflict in these two spaces in young people’s lives Break the Cycle is here to support them as they navigate this complexity. Commit today to prevention. Now is the perfect time to start digging into what this means in our communities because February is Teen Dating Violence Awareness and Prevention Month. 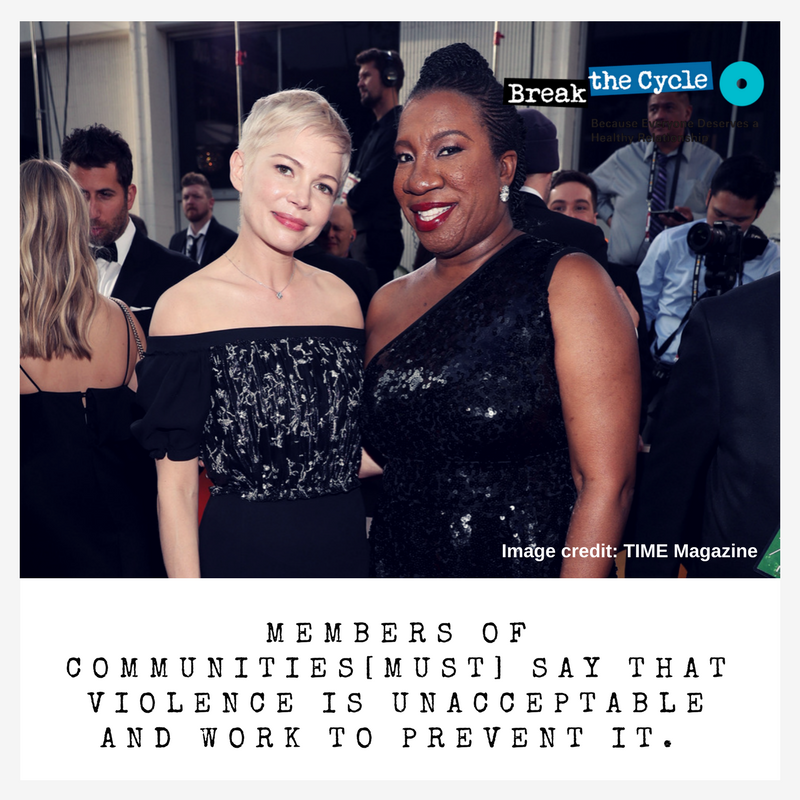 Break the Cycle has a 28 day list of things people can do during the month, providing a variety of resources on bystander intervention, warning signs, how-to(s), and more. Find it here. 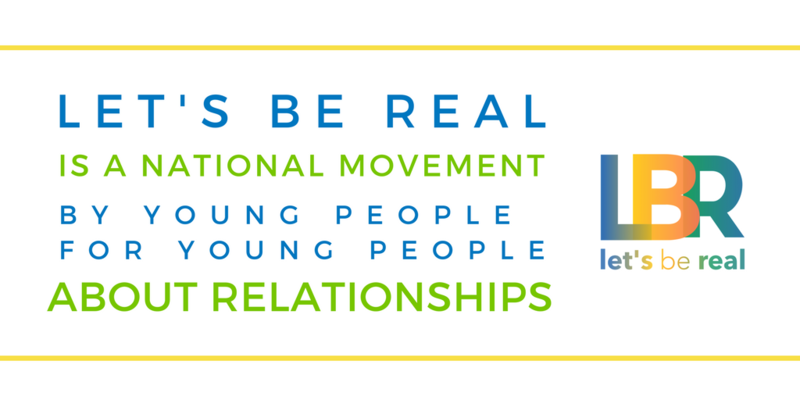 Together, let’s support youth efforts to build healthy relationships and create solutions when those relationships turn unhealthy. It’s time to move the hands on the clock.